Features a removable floor pan for ease of maintenance. Commercial-style decks and commercial-grade fully welded, tubular frame. Up to 60" deck size available. The seat pan flips up to provide access under the seat without the use of tools. 20" high-back seat with full mechanical suspension to shield the operator from bumps and EVC cushion to take pressure off tail bone and lower back. The FasTrak® has the best warranty in its class in the industry. Provides a more cushioned ride. Helps provide a professional manicured finish to your lawn. Side discharge only. FasTrak is rated 4.5 out of 5 by 47. Rated 3 out of 5 by the Chapmans from warranty repair issue My first zero turn and I fell in love. But a year and a half later two pulleys have gone out and my husband and I were grateful it is still under warranty. But now it has been sitting at repair shop "waiting on parts". So not sure how great it is that pulleys didn't last any longer and that there is an issue getting parts to make the "warrantied repair". Right now we are not too happy. Rated 5 out of 5 by Firedog86 from Great Mower I have had this mower for about 1 year. So far it has preformed very well. One thing about it, it is tuff!!!!! I have not abused it, but I have not been gentle with it either. So far I have not experienced any problems. I looked at alot of different mowers before buying this one. For the money, its a good deal. I bought mine at a Hustler dealer, and I explained how much I had to mow and what I was looking to spend. This was the one suggested for me. 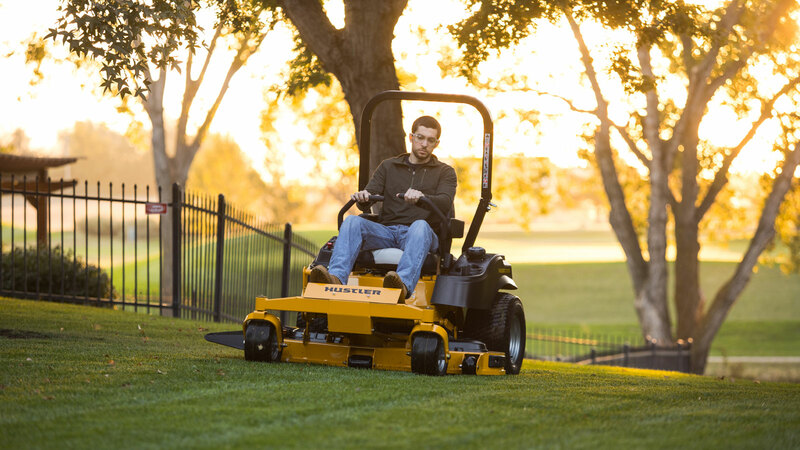 It is easy to operate and mows great. Rated 2 out of 5 by mchcfamily from Poor Cut, Rough Ride. Purchased in April 2016 new to cut my 4 acre lawn. Most of my yard is weeds and used to be farmed (soybeans, cotton). The major issues with the mower deck is: 1. In high grass (3+ inches) due to the high speed of the mowing blades, it creates a vaccum which results in nearly half of the grass not getting cut. 2. After mowing I have to raise the mower to clean out the deck as it is caked with grass clippings. 3. My blades have to be replaced every year because they are destroyed due to the high blade speed and soil conditions of my yard. 4. Due to the blade speed and the vacuum it creates, grass and dust are blown out the front of the mower deck resulting in me getting covered in grass and dirt. The major problem with the seat is you feel every bump due to its rigid design. Overall I am not happy with this mower. Rated 3 out of 5 by Kandice from The Plugger-Upper I traded in my old FasTrak for a new one last year. Spent a mint as I knew I would. JGE said that it wouldn't plug up as bad because of something or other. The deck still fills up with grass in record time, and this is after removing the safety discharger thing. JGE says that they are selling a different mower now (thanks, wish I'd known that before you sold me my FasTrak) that doesn't plug up nearly as bad. Will probably trade next summer. I need to change hydralic oil on a fastrak Z model number 926501 serial number 04010465 Transmission number 5M85RM-S .. No filters,been told they changed over the trans to the filter equipped trans in the middle of production year. You need Part number 789511. You can get that at your local authorized Hustler dealer. See page 4-8 of the owner's manual. We can email or send you a copy if you need one. Any specifications or service questions regarding your Honda engine should be handled by Honda. We suggest contacting the engine manufacturer directly. I am sorry, we do not have any dethatching units. Can I pull a 600 pound roller with it? Sure you can. But, within a few engine hours, you will be replacing the rear end of the unit. It is not made for that kind of work. what size battery to replace in a fast tracker? what cranking power? get a 12 volt maintenance free garden tractor battery BCI group U1R 225 or better cranking amps. What is the rear tire pressure? Look on side of tire and it will give cold tire pressure. Most likely in the 20 to 25 psi range. 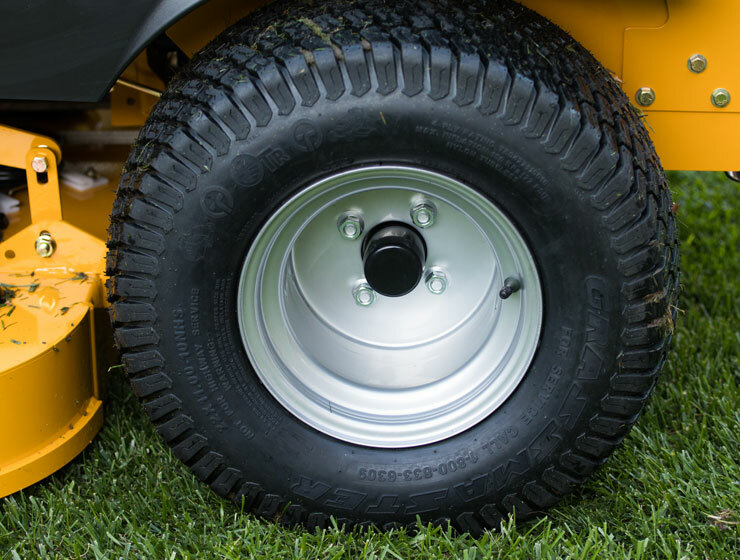 Which Blade clutch is best for the model#926527 fast trac mower? The FasTrak weighs approximately 1100 lbs.